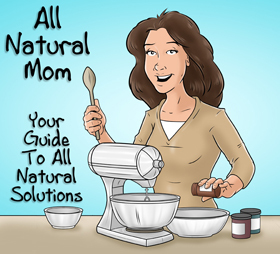 Last month, I posted a couple of my shopping trips on All Natural Mom’s Facebook page. Everyone wanted to know how long this food would last us. 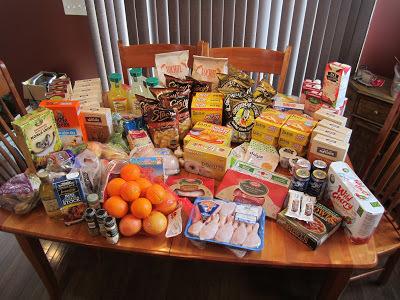 I took a picture of every shopping trip for about 30 days to show what a typical month’s worth of groceries looks like and how long the food lasts us. Keep in mind, this is for four kids and one adult – four on GFCF plus, and then my oldest son does Feingold only, with limited dairy. 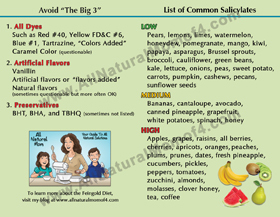 Since we can’t do gluten and dairy, and we have issues with a lot of fruits that are high in salicylate or oxalate, we do a lot of chicken and meat for our meals. 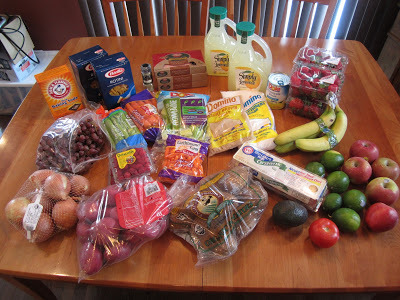 For a look at our typical meals, see a previous post I did recently, Feingold Meal Planning. We rarely eat out, other than my oldest. So, while our grocery bills are high, money spent on eating out is very minimal. We go through more processed food during the school year because of school lunches. When my kids are home, they rarely head to the pantry for snacks. 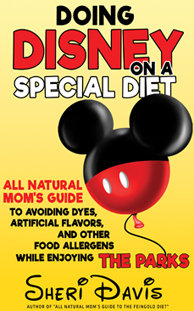 They go to the freezer, or typically eat more like four meals a day instead of snacking. My oldest is a snacker though. We are not strictly stage one. 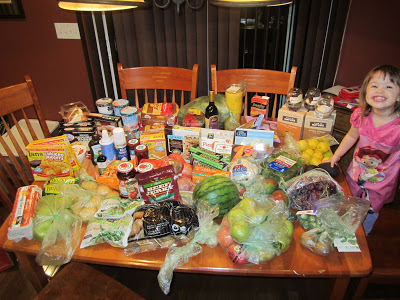 We can do limited stage two foods and myself and my youngest can do all stage two foods. 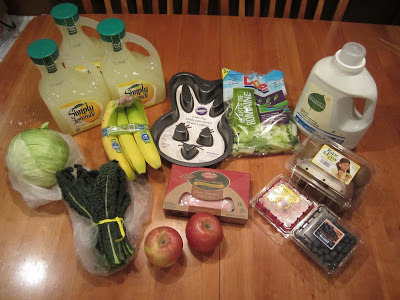 As you can see below, I head to Whole Foods and Woodman’s about every three weeks, then go to my local grocery store (Meijer or Super Target) more often to get fresh produce and lemonade as needed. Local health food store about once a week or as needed, and Trader Joe’s, Sam’s Club, and Costco about once every month or two. I don’t care for Wal-Mart because their produce by us is terrible (and they have very little organic produce) and they don’t carry Hormel deli meats so I’d have to make a separate trip somewhere else. But, if you live out in the country, sometimes all you have is a Wal-Mart. 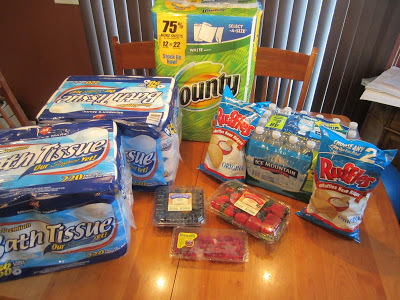 Wal-Mart will typically carry the same things as any grocery store like Meijer or Super Target. 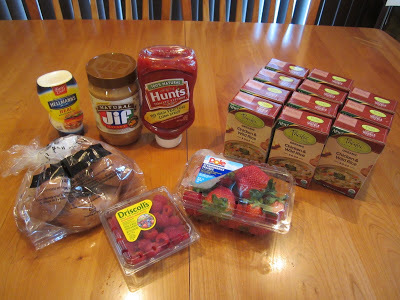 I can find some of the below foods I get at Woodman’s and Whole Foods at my Meijer, but it is cheaper at Woodman’s and they have a much larger organic/natural selection, so I get most of my food there. Whole Foods has some items that I can only find at Whole Foods, and they have the best selection of produce anywhere as it is always fresh. My Whole Foods is about 25 minutes away, which isn’t bad but not close enough to make a weekly trip so I stock up when I go. I order grass fed beef from www.grasslandbeef.com. I probably use about $100-150 worth of meat in a month. I use ground beef for chili, spaghetti sauce, tacos, hamburgers, meat loaf, etc. Then we eat roasts, BBQ shredded beef, steaks, beef stew, summer sausage, etc. We use organic chicken breasts from Woodman’s. These are expensive – $9.99 per lb. We often have leftovers though which we eat the next day for breakfast or lunch. Still cheaper than eating out and much healthier. 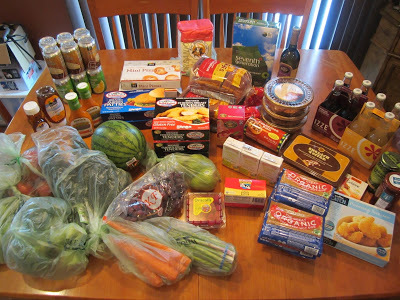 You can certainly cut down on your shopping bill by eating less processed foods. 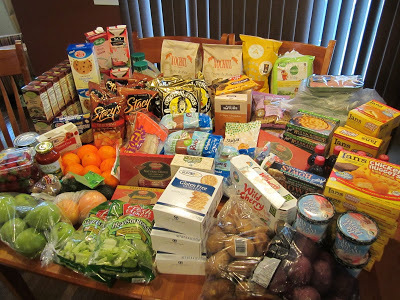 If you are not GFCF, your grocery bills should be much lower. You can order some things online if you don’t have many stores near you. You can also make more of your food from scratch. If you do that, just freeze everything. 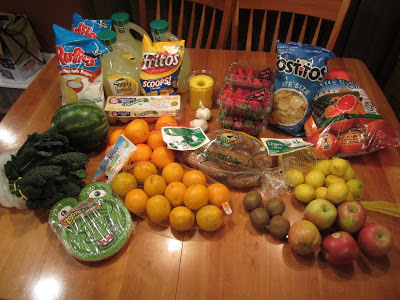 But, just wanted to give an idea of what foods we get from where, and provide a visual. We do eat foods that are not listed in the Feingold shopping guide – usually because the manufacturer will not fill out forms for Feingold, or they just haven’t been researched yet. 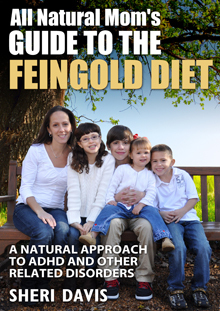 So, if you are new to Feingold, you might want to stick to the shopping guide. These are just the foods that we choose to purchase and as far as I know, they are without dyes, artificial flavors, and preservatives. That’s a grand total of $2,251.49. Add in beef at $100, = $2,351.49. That’s about $470 per person for groceries for the month. Total for eating out was $106.07. available now on Amazon for only $3.99! 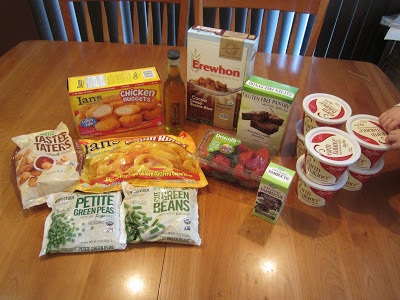 Posted in Feingold Diet and tagged Feingold Diet Info, Feingold Shopping Lists. 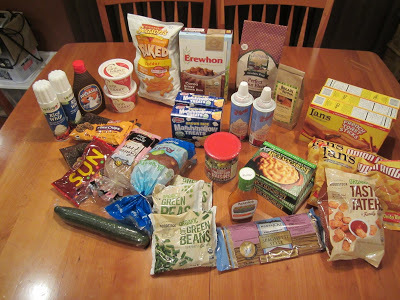 About what % would you say is packaged/convenience foods? Our budget for 7 people is 700 gor a month including non good items. But we raise our own beef and pork and grow and can most vegetables. I cook mostly from scratch. I’m trying to figure out how to do this on our budget. There seems to have been so much more availability/variety of Feingold approved brands than there are now. I am just getting into the program, but am having trouble just sticking to the approved brands. My son is unbelievably picky. He’ll eat a certain brand. When we try to switch it up. He knows & then we loose some of the very few foods he’ll eat. I’m curious, do you still use any of these foods since you know your kids did ok with them, even though they are no longer approved? I know if I posted this question to the forum or FB I would be shunned. I know it’s a cardinal sin to stray from the current Foodlist or dare to let my kid have ketchup during Stage 1.